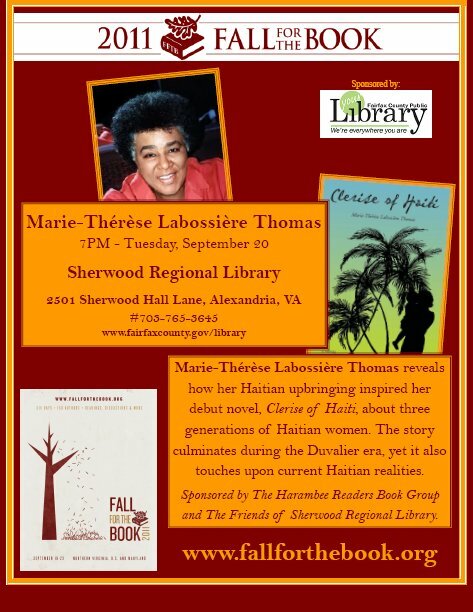 Marie-Thérèse Labossière Thomas is available for appearances and book signings in the Washington DC metropolitan area. For information, please contact her at: thesydescayes@yahoo.com. Marie-Thérèse Labossière Thomas was born in Les Cayes, Haiti, and migrated to the United States as a young adult. 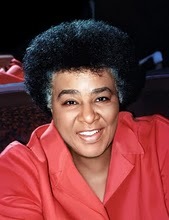 As an educator and writer, she conducted multicultural teacher training through local school systems and universities; designed and implemented courses in Creole/English literacy for adults; produced and hosted Kafou, an educational television program in English, Creole, and French, in conjunction with the DC Public Schools television channel. That program included series on Haitian history and African liberation struggles in the Americas, entitled Perspective from a Small Island and A Tradition of Freedom. Her articles on Haitian political and social issues have appeared on several newspapers and internet sites, including Haiti-en-Marche, Haiti Observateur, Le Nouvelliste, Alterpresse, Pikliz.com, lavilledescayes.com, as well as in Kiskeya, a community newsletter that she published for four years in the Washington Metropolitan Area. She also authored Nou Di, We Say, Nous Disons, a trilingual survival skills manual used in conjunction with educational programs. Ms. Thomas has served on community boards, as well as on committees and task forces of educational and cultural institutions; she spoke at museums, public hearings, school and community venues, and through the media. Clerise of Haiti, now translated in French. is her first novel.